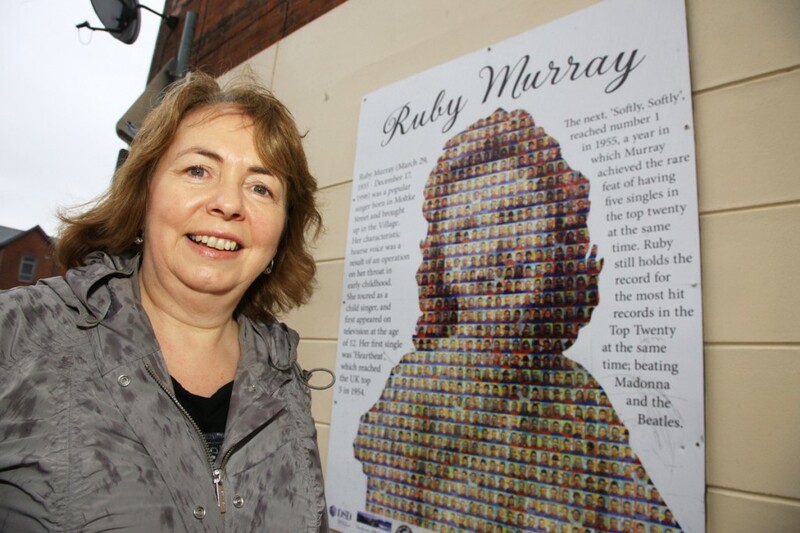 SOUTH Belfast’s most famous songstress Ruby Murray is to be the focus for local celebrations on International Women’s Day. The Donegall Road singer remains one of the most successful singers of all time and was the best known vocalist throughout Ireland and the UK in the 1950s. Ruby, who inadvertently lent her name to the cockney rhyming slang for ‘curry’, will be the theme for a song workshop to be held in the Ulster Hall on March 8 – International Women’s Day. Singers of all abilities are being invited to come along and learn a few of Ms Murray’s best-known hits, including ‘Softly Softly’ and ‘Heartbeat’, or just attend and listen to the music, which will be supervised by talented singer, pianist and diehard Ruby fan Roisin Whyte. Ruby, who passed away in 1996, is perhaps best known by fans of an older generation, but South Belfast Councillor Bernie Kelly said the local legend’s story would be a great inspiration for today’s music fans and those considering singing as a career. “It’s important to look at Ruby’s working class background because it’s encouraging for younger people who attend to see what can be achieved with dedication and talent and without the aid of programmes like the X-Factor,” she said. Councillor Kelly, who chairs the council’s Older Persons All-Party Reference Group added: “It doesn’t matter if you can sing or not, it will be a brief workshop that will hopefully evoke memories, encourage friendships and be a good experience. Places for the 90 minute workshop are limited to 15, and can be reserved by emailing carsonjan@belfastcity.gov.uk, or by contacting the Ulster Hall on 90 334400.